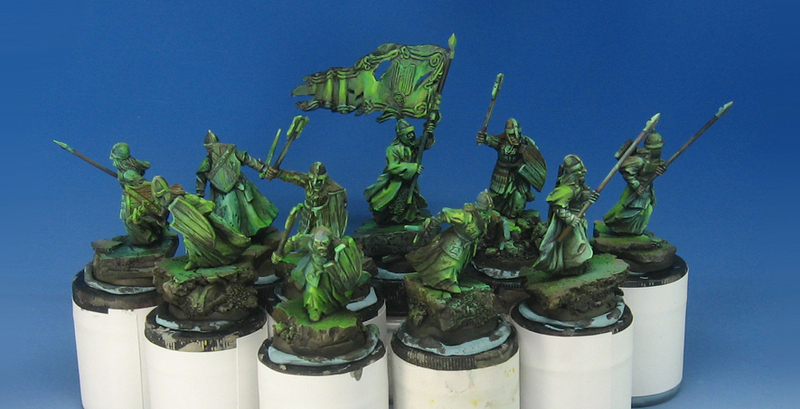 It is hard to believe that I am already on Series Five of my Army Painting video sets! In fact, this one is nearly complete, with just one episode to go. 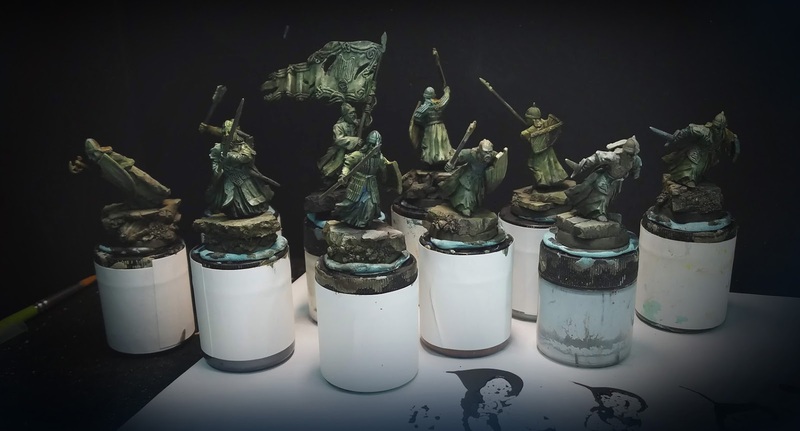 This set of tutorial videos takes you through the process of getting the ethereal glow of the Army of the Dead, as well as the rusted, corroded look of the armor and skin. As always, each series begins with basing, and this was no different! 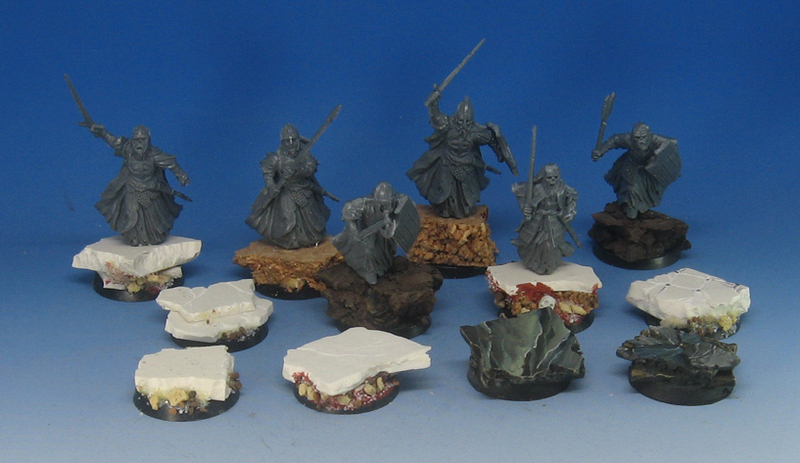 I did a variety of Sculpey and cork bases, with many of them designed to 'correct' the extreme forward leaning figures. 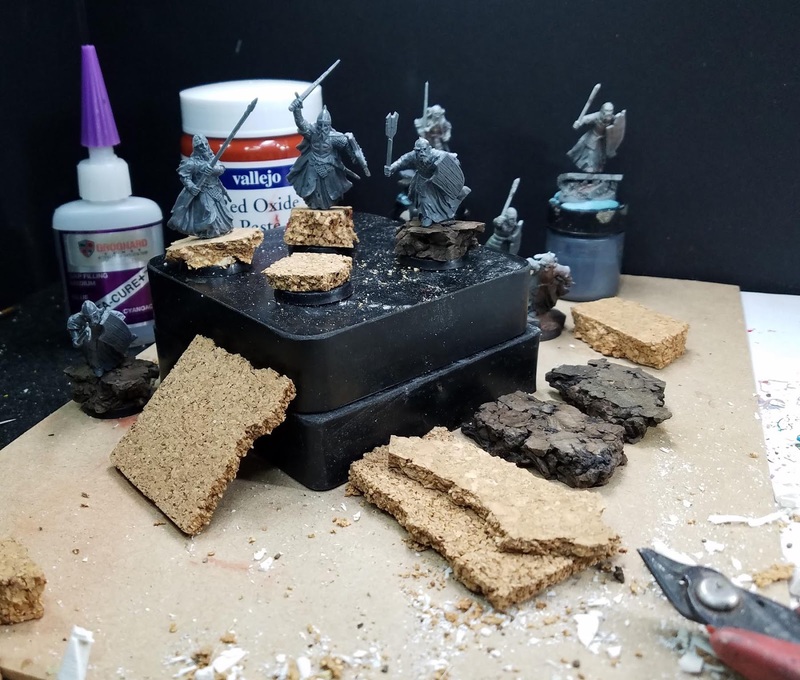 I try to take you through as many different materials and designs in each basing episode as possible, and go over some simple safety procedures too. 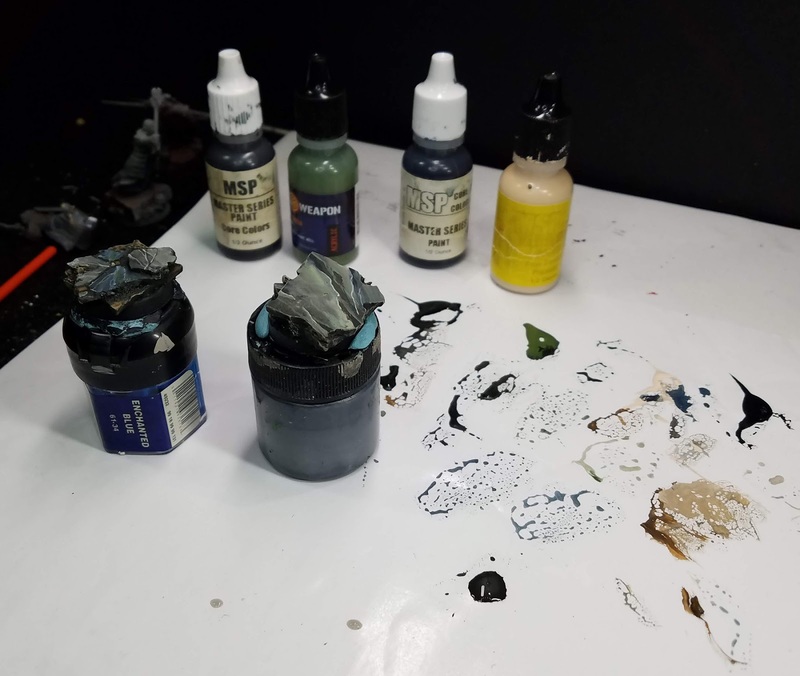 Where possible, I try to paint a base or two during the basing episode. 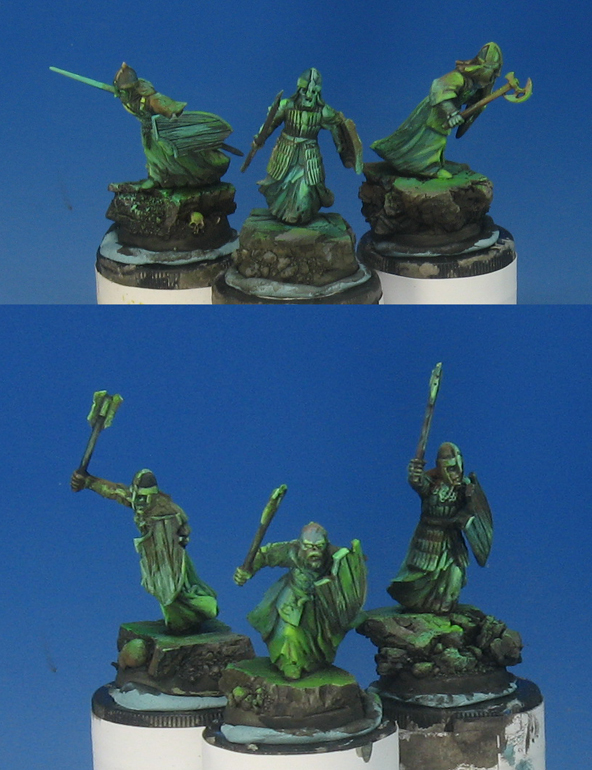 In this case, some quick marble bases. The next episode is always the painting of a "color test" figure, which is where the look of the unit is determined. More importantly, this is the time where you figure out how long each figure might take to paint, and if you might need to leave out certain extras to save on time. Episode 3 is the Shded basecoat phase, which is always down and dirty! However, it is also a very critical stage, because most of what will happen over the following 2 episodes will evolve from this early work. You can see some dramatic lights and shadows already, which set up the subsequent layers of fluorescent paint very nicely. Sure enough, the next episode was focused on creating that ethereal effect, and the difference is very dramatic. In episode 5 of this series, I will tackle the rust and corrosion, along with the final highlights. Along the way, I discuss how I will be using the army (which will inevitably take part in my video battle reports! ), and why I chose to leave out or include certain effects. 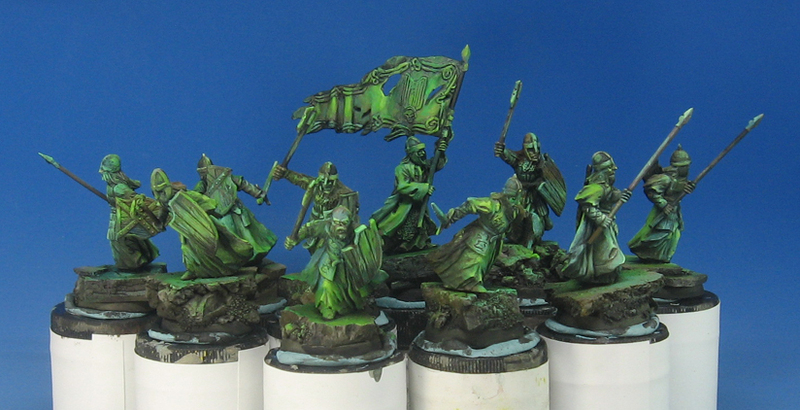 I have already done a tutorial series on my Easterlings, which focuses on painting gold non metallic metals, as well as adding freehand without taking too much precious time! 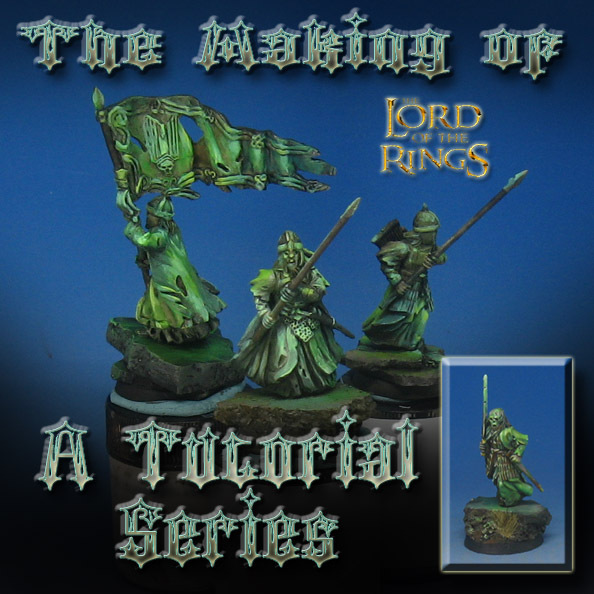 I will be doing all of my Lord of the Rings armies in this tutorial series fashion, including Rohan, Harad, and others. As I mentioned, this is Series 5. 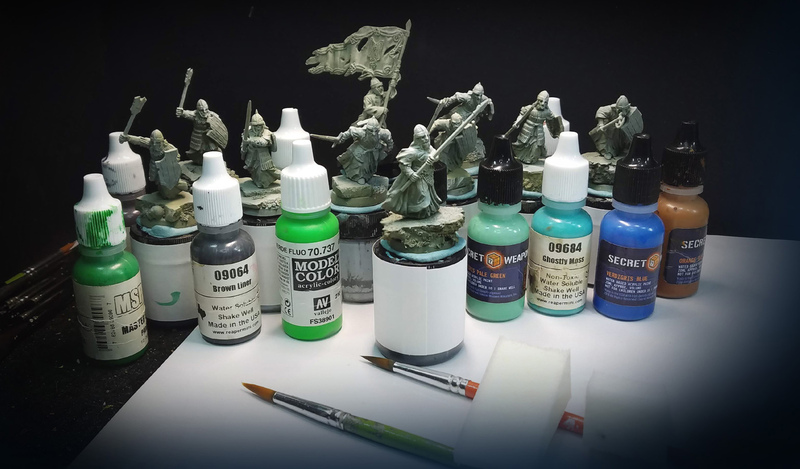 Previous episodes have covered Age of Sigmar, Bolt Action Soviets (using oil paints), Easterlings, and even Song of Ice and Fire units! These are real armies, which I will actually be using in games and battle reports. 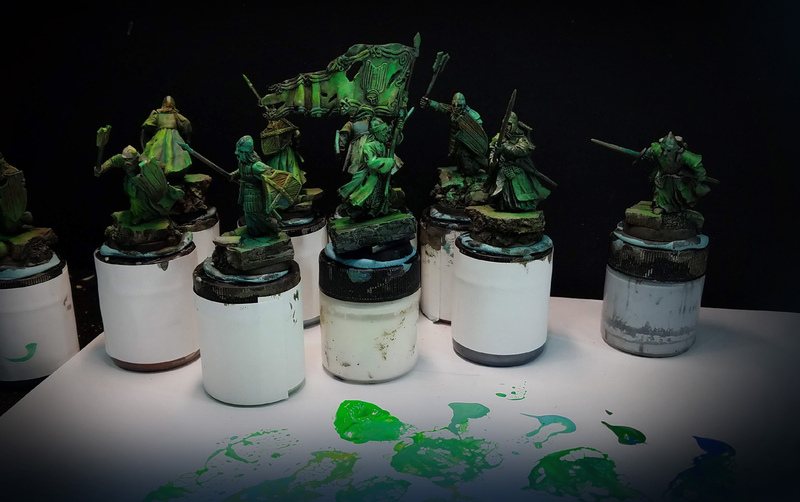 I don't think that any other tutorials out there show the process of painting entire units, which is a very different animal than painting one off figures. Over and over again I mention the "currency of time" which none of us has in abundance. 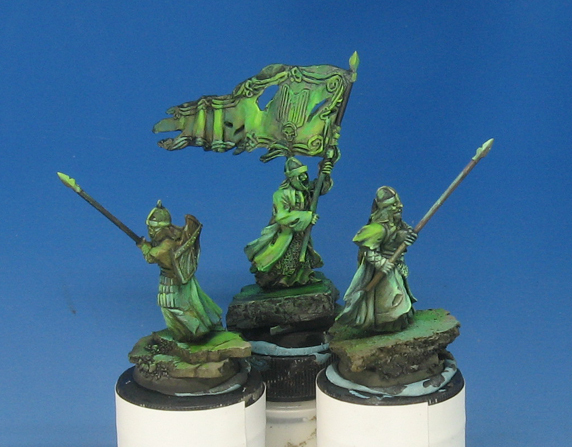 The balance between the look of the figures, the playability, and the time to paint them is a delicate one.